While Facebook‘s (NASDAQ:FB) soaring revenue and profit may get all the attention every time the social network reports quarterly results, there’s another area investors should be paying attention to: Facebook’s staggering growth in its active advertiser count. Here’s a close look at Facebook’s astounding growth in this critical key metric. “In Q3, we announced that we have over 4 million active advertisers of different companies and corporations on Facebook and over 500,000 active advertisers on Instagram,” Facebook COO Sheryl Sandberg said in the company’s third-quarter earnings call. “The number of advertisers on both platforms continues to grow quickly — and we’re pleased to see more and more of them using the full range of our ad products.” Through these ads, Facebook is able to reach more and more buyers of their products, goods and services. Paltry in comparison with Facebook’s billions of active users across its top social platforms, it may be easy to gloss over these active advertiser counts. But some historical context highlights just how significant and rapid new advertisers are launching campaigns on Facebook and Instagram. Just two quarters ago, for instance, Facebook had just reached over 3 million active advertisers on Facebook and over 200,000 on Instagram. With over 4 million active advertisers on Facebook today, and over 500,000 on Instagram, Facebook’s active advertisers on the two platforms have increased about 33% and 150% during this short period. Going back further for more context, Facebook had 2.5 million active advertisers in the year-ago quarter (management wasn’t yet disclosing active advertisers on Instagram). While Facebook’s 4 million active advertisers are undoubtedly notable, the more surprising metric may be the growth of active advertisers on Instagram. Management is focusing on growing its active advertiser count on Instagram. Increasing the number of marketers using the Instagram’s ad products is one of three priorities management has for boosting the platform’s overall ad business, Sandberg said during the company’s third-quarter earnings call. The other two priorities are capitalizing on the shift to mobile and making ads more relevant and effective. 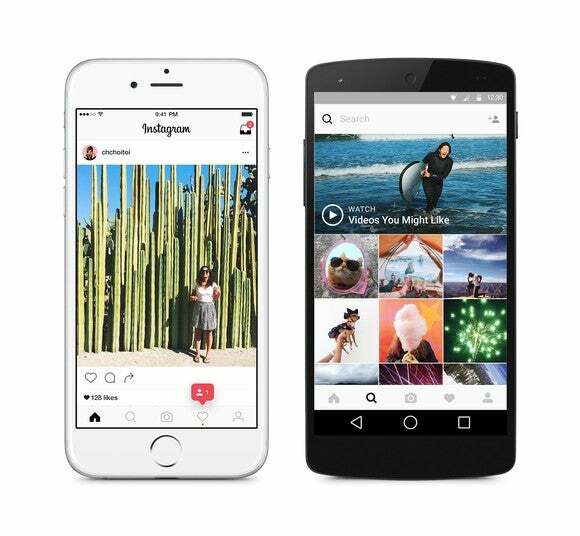 How is Instagram attracting new advertisers? Per Sandberg’s third-quarter commentary on the subject, strategies seem to boil down to helping businesses get started on Business Profiles, Instagram’s recently introduced equivalent of Facebook Pages, introducing simple yet compelling ad products, and making it easy to advertise from mobile devices — all efforts Facebook is intimately familiar with, as the same initiatives have long been under way on the core Facebook platform. Going forward, there’s good reason to believe Facebook’s active advertisers on both Facebook and Instagram will continue to grow rapidly. Here’s why: Facebook has 60 million small business Pages. With only 4 million active advertisers on Facebook and 500,000 on Instagram, the social network clearly has a large addressable market of businesses that aren’t paying for advertising but are already managing Pages. And even Instagram’s recently launched Business Profiles on Instagram already amount to 1.5 million, management said, easily outpacing the company’s growth in active advertisers and setting a foundation for more growth in the platform’s active advertisers. David and Tom just revealed what they believe are the ten best stocks for investors to buy right now… and Facebook wasn’t one of them! That’s right — they think these 10 stocks are even better buys.